These questions are for elders, pastors and ministry leaders who outsource the feeding of their female sheep to women’s conferences like the IF Gathering. I ask because it seems like a huge discernment disconnect that you would trust your women in the hands of those who themselves lack discernment. Were you wondering why this year’s 2017 IF Speaker lineup did not appear on the website except to registrants? 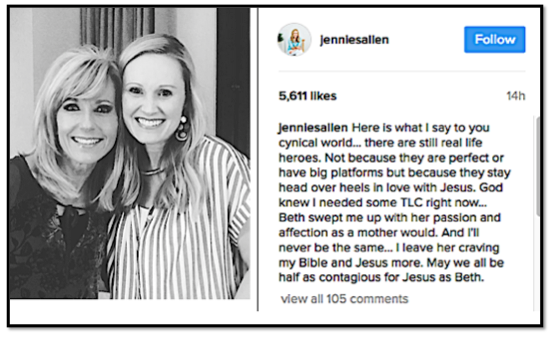 Were you reassured last October when IF Gathering founder Jennie Allen gently, regretfully, and tearfully distanced herself from her bestie Jen Hatmaker over the homosexual marriage issue? Were you relieved to learn that Hatmaker (Also an IF founder), mysteriously disappeared from the IF Gathering lineup of speakers? Are you convinced Allen is wise and discerning? Even when she continues to unapologetically encourage your women to trust and follow a known false teacher? Before you throw out the “guilt by association” card, please be a Berean and compare Beth Moore’s fruit to Scripture. You can do your homework here, here, here, here, and here. One more question: WHEN are you going to take back your responsibility for feeding and protecting your flock from wolves? Elders, pastors and ministry leaders, you’ve no doubt got a lot on your plates. And these days, the pressure to feed every sheep that comes your way is so time consuming. Especially from the women in your congregation. I mean, they seem to need a lot more than just a boring Bible study. They want laughter, and tears, and tears through laughter. And laughter through tears. We tell stories of women being brave and changing lives from all their unique places and with their unique callings. We hope this will help you to dream about how you could impact your part of the world. Neither one of these statements is biblical Christianity at all. It could very well be the mission statement of any atheist-feminist-social justice group. I totally get the desire to have someone else take over the enormous task of emotionally stimulating women week after week. You’re exhausted. You can only tell so many jokes from the pulpit. You can only conjure up so many heart-wrenching videos to evoke their brokenness. You can only inspire them to conjure up so many dreams for their lives, and jump through so many hoops to convince them that their dreams are really dreams that God Almighty wants them to achieve. 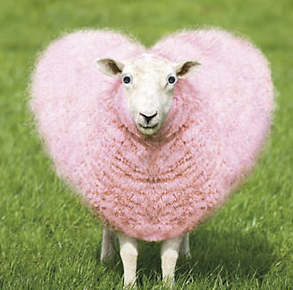 Your sheep are starving. So how about we stop outsourcing your job to feed and nourish women? Let’s bring that job back into the fold of your own church, and let’s throw out those vapid storybooks from some author you’re too busy to validate and vet for safety. Give your women real nourishment from the breathed-out SUFFICIENT Word of God.